As I head out for vacation I think about the priority of living in the moment. Marketers are learning to do more of this too. For a discipline historically built on planning, this is still something they are learning to do. The democratization of media along with the ability to publish directly to the consumer has given every brand the opportunity of being a publisher, along with the responsibility that comes with that. Take note, that is publisher, not advertiser. 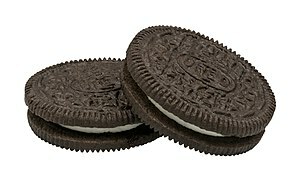 For some, that means engaging real-time via social as Oreo famously did during the SuperBowl blackout. For others that may mean launching a full blown Video Network like Harley Davidson’s ‘The Ridebook’. Either way, being relevant to the moment places a new definition on being relevant to the times…as the time is now! As publishers of a network you need to now offer programming that is relevant to the current conversation. You need to add to, or better yet, invent a part of the popular culture. These new opportunities usually evolve, as narrative does, through iteration. The process of doing, being a part of and evolving with the conversation allow you to authentically lead and reinvent as a part of a community. Startups are very good at this, as they learn to iterate via the alpha, beta and launch phase of application development. Get it out there! It may be a bit buggy, but you will see what works and what does not before you spend the whole budget. You also give fans a chance to test and participate in your idea. SocialTV is doing this quite well as ideas for content are launching in raw form way before the next season’s content are. So, as much as ‘Marketing in the Moment’ seems to be one of the current ‘hot’ trends for communications, lets not forget the bigger picture. The opportunity to directly publish, not advertise, with engaging content that is of the community, not of the brand. While at SXSW this year, I saw a terrific panel from the team at Oreo about their SuperBowl engagement. This power panel discussed the importance of making the best of moments as they are happening while bringing value and included a fun debate between Bonin Bough, VP of Global Media and Consumer Engagement, Steve Doan, Senior Associate Brand Manager both from Oreo under Mondelez International and the infamous Gary Vaynerchuk, Co-founder, VaynerMedia. Here is a video of the panel if you missed it – it was quite a hoot! This entry was posted in Content, Crowdsourcing, Publishing, Social Media and tagged Bonin Bough, Gary Vaynerchuk, Harley Davidson, marketing in the moment, now, of the moment, Oreo, Steve Doan, Super Bowl, SXSW, VaynerMedia. Bookmark the permalink. « Making a computer from a Living Cell. Thanks for sharing your take on our SXSW pop-up panel, Jared. You nailed the whole gist of “marketing in the moment” with this statement – “The process of doing, being a part of and evolving with the conversation allow you to authentically lead and reinvent as a part of a community.” There’s a subtle but obvious difference between shoehorning your brand into a conversation vs weaving it in. I found it on 22 spot, you should focus on quality backlinks building, it will help you to rank to google top 10. Thanks. Are these not Blackhatting tactics frowned upon by search engines?